A close-up view of a few of Jed’s plant pickets. 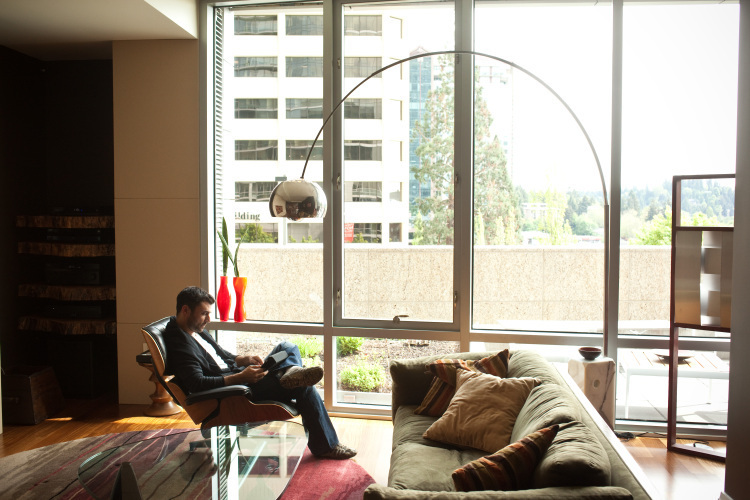 When it comes to design, Jed Darland has the sensibility of an artist, and the ingenuity of an inventor. When it comes to business, he’s an opportunist in the best sense of the word. Jed knows how to seize the moment, turn downtime into a new venture, and that venture into a successful business. His passion for learning, methodical turn of mind, and hands-on approach to everything from market research to manufacturing to concept design shapes his entrepreneurial style. The story goes like this: Fresh out of the architecture program at Carnegie Mellon, Jed launched a business in strategic branding and market consulting, in part through publishing a black-and-white photography book on the decorative arts as they relate to the human body (“Sexitecture: The Female Body Graced by Architecturally Inspired Furniture.) And then, because he’s an inveterate self-starter who’s always turning to new ventures, he took up his lifelong passion—woodworking and furniture design. He was refurbishing classic and custom furniture for a condominium he’d bought for himself in his hometown of Seattle, when he realized he’d accumulated rather a lot of scrap lumber. 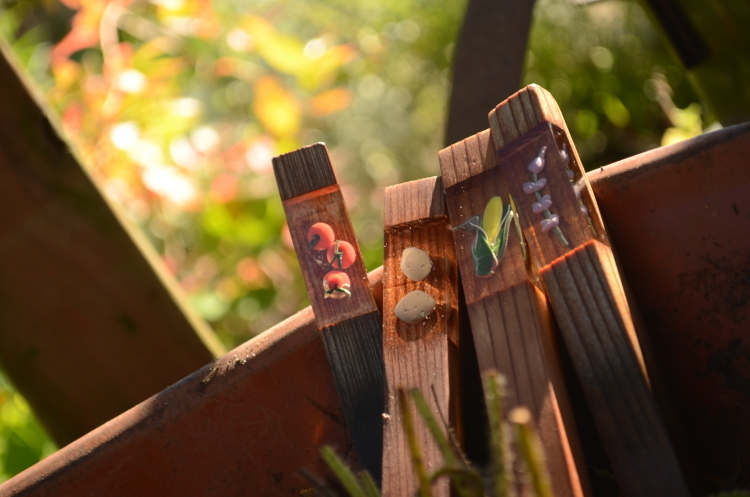 In one of those classic off-the-cuff moments given to creative minds, Jed came up with a new idea: beautifully finished tapered sticks designed to mark and identify the rows in his vegetable garden. 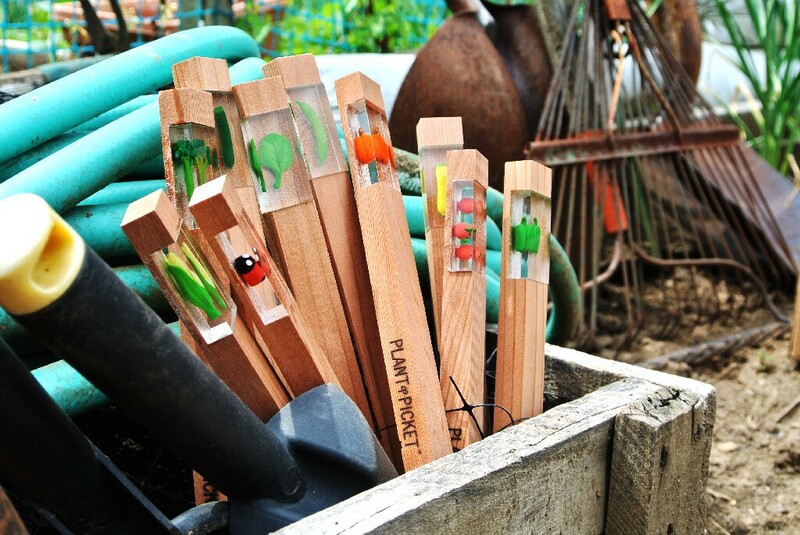 The plant picket is made from untreated recycled premium rot-resistant lumber that weathers naturally. Each picket has a resin window containing an injection-molded, hand-painted, image of a vegetable or flower that’s double-cast in resin. 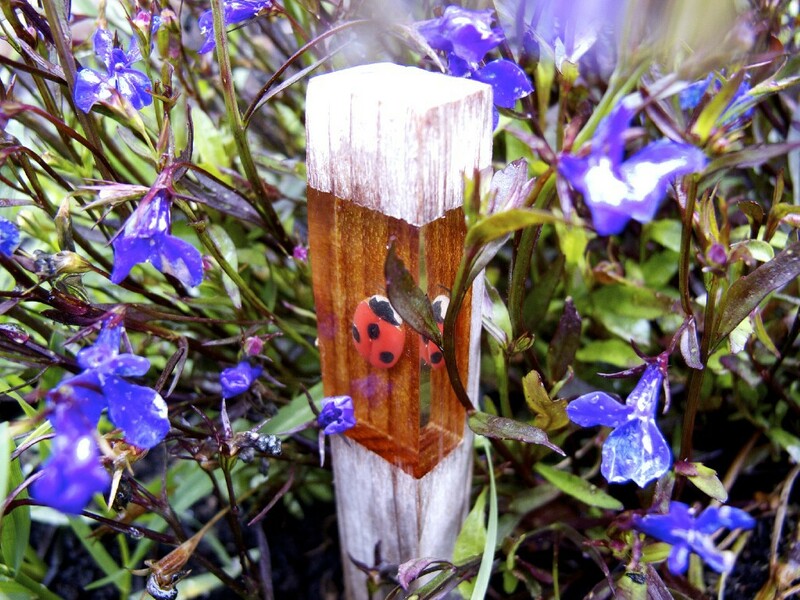 It’s a clever idea that has captured the imagination of gardeners and landscapers across the country. Plant pickets are made from untreated recycled premium rot-resistant lumber which means they weather naturally. 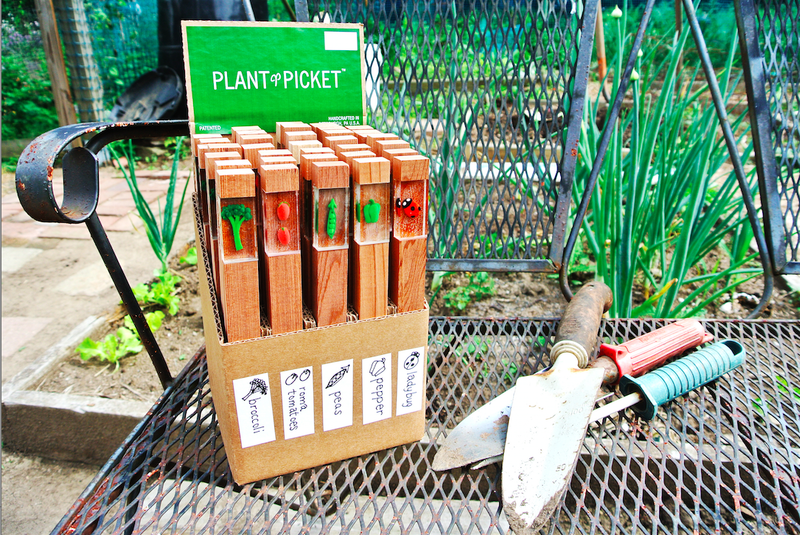 Plant Picket, now in its eleventh year, was recently featured on Martha Stewart’s website as part of her competition highlighting American-made goods, and in Green Profit Magazine. But it takes more than a good idea to succeed in business. You have to love what you do, and take infinite care in doing it, and you have to explore all facets of your project, embrace the problems, and come up with creative solutions. With a touch of the Leonardo da Vinci about him, Jed has built the prototype for every piece of machinery that goes into making the plant picket. When something goes wrong in manufacturing, he knows why. Back in the early days, people visited his condominium—turned showroom for elegant, smart design—and spotted his plant markers. “They asked me, ‘Where did you buy those?’ and I said, ‘I didn’t buy them. I made them.’ They’re, like, ‘Where do you sell them?’ and I didn’t have an answer for that. With any concept, he says, “it’s very important that you have a really solid depth of scope, which is to design something from front to back for the person or the thing that it’s designed for. I think all of my projects feel that way. “You have to first identify your market, and then you have to be able to instill the features and benefits of the product or service in the entire design, down from the name to the font which is used to the colors that you choose. I think branding is key to a successful business. Jed Darland believes branding is key to the success of a business. “I think that the business plan I did before I embarked on this product, Plant Picket, causes you to think of things that you wouldn’t have otherwise thought of. It helps you setup contingencies because it’s never going to go exactly how you think it is. I think the business plan is super important because it is fluid and you can update it based on what’s going on. Moleskin journals, because you never know when you’ll have a great idea or remember something important you have to make note of, and for many people, there’s just nothing like putting pen to paper. The GasBuddy app because I’m always on the go and it’s a great app that locates the cheapest gas in your area. The Adobe™ Creative Suite for all of my design projects. Jed Darland is always looking for ways to be more efficient. Ultimately, what do you think is the secret to your success?